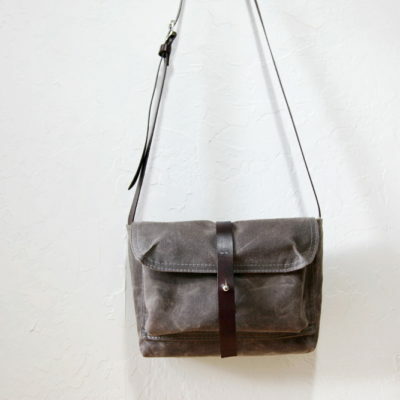 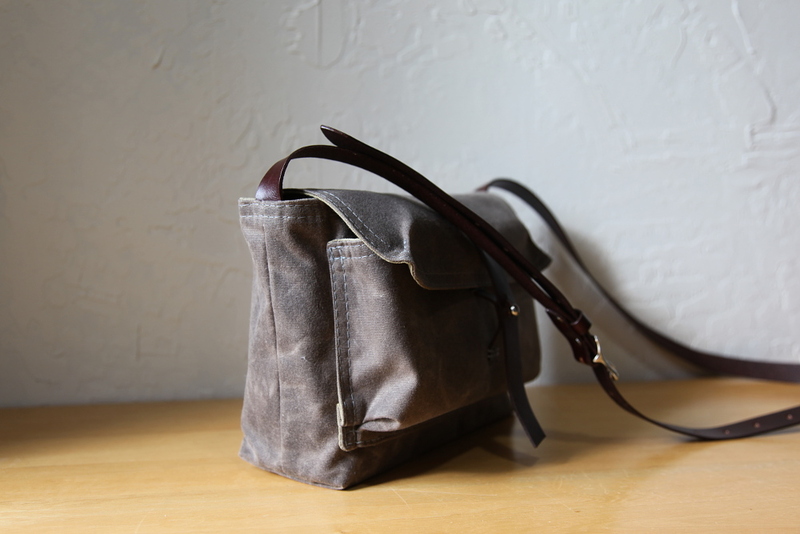 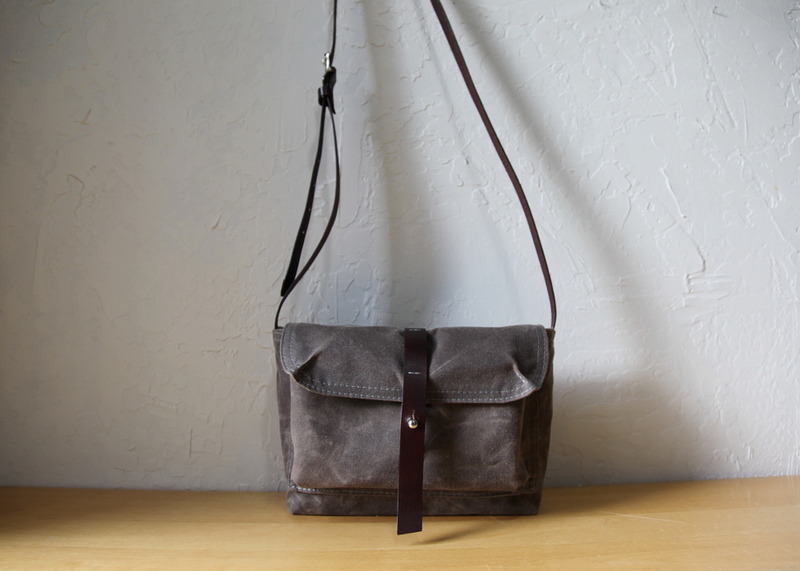 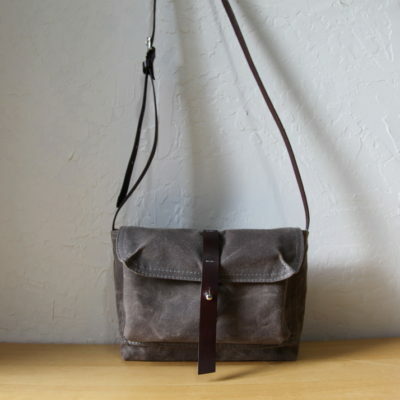 The Small Satchel in Stone waxed canvas. 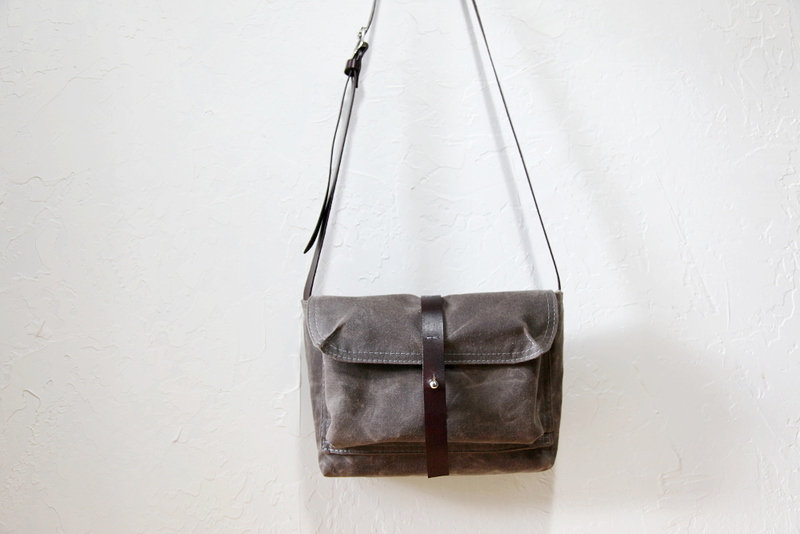 Please allow up to 1 week for your satchel to be prepared for shipment. 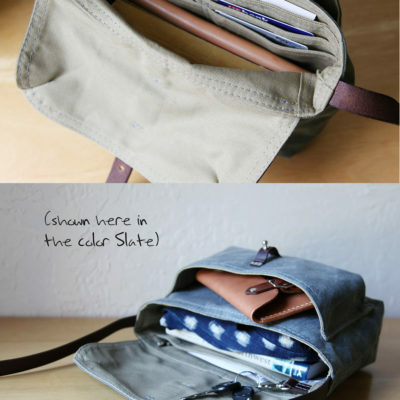 Made for easy grab and go, the Small Satchel is efficiently sized and organized. 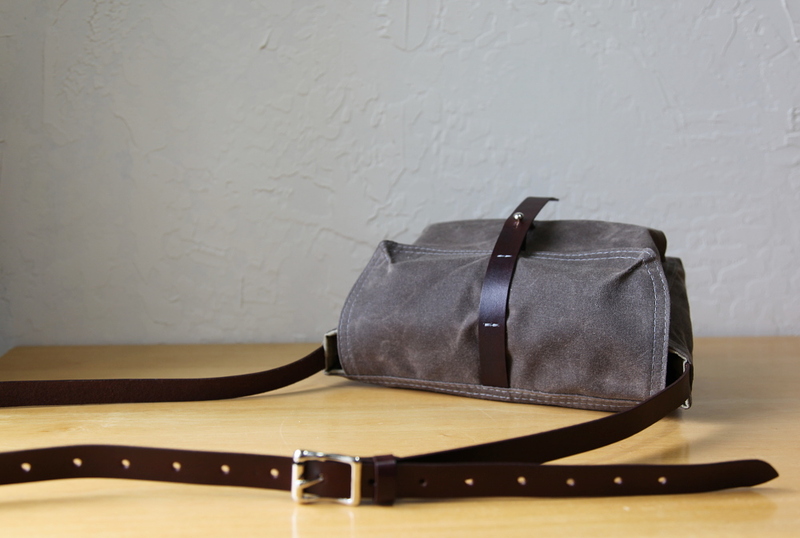 Weather resistant, waxed cotton canvas outer. 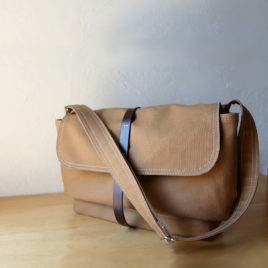 Lined with khaki color organic cotton canvas. 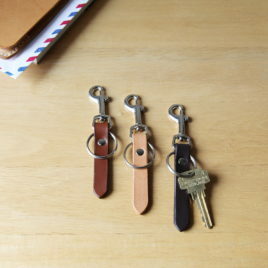 Hand cut, hand stained, vegetable tanned leather straps. 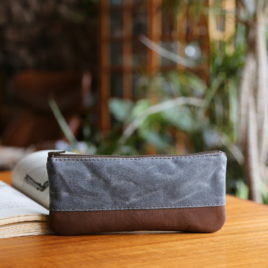 – The front pouch pocket, measuring 8.25″ x 4″ x 2″ can accommodate a number of small items including a standard small sized paperback book. 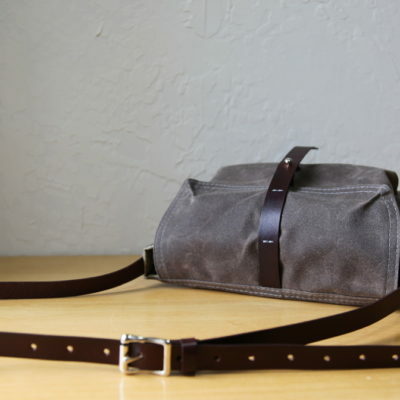 – On the interior front wall of the bag are 2 slots sized for credit cards, 2 slightly larger slots for things like cash and receipts, and a 9″ x 6″ slip pocket. 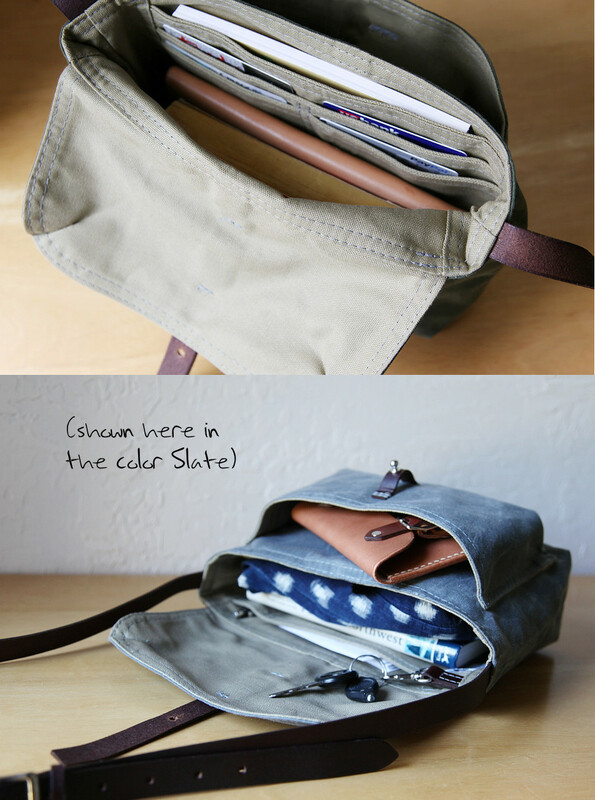 – On the interior back wall is a slip pocket, pen slip and key clip. 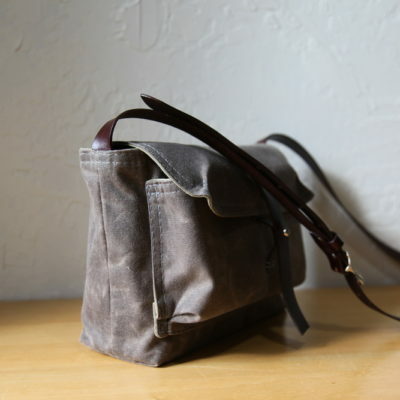 The main body of the bag measures 9″ wide x 7″ tall x 3″ deep. The shoulder strap adjusts up to at least 40″ in total length. 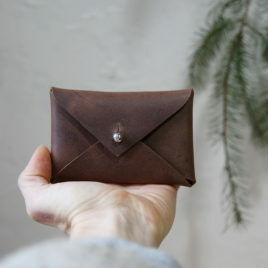 Stud closure for easy access.